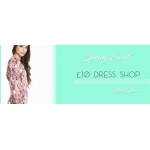 The Madam Rage Promotion is on, dresses £10. Free UK Delivery on orders over £35. The promotion is valid online until further notice.